CF flanged gate valves have metric tapped flanges as standard. 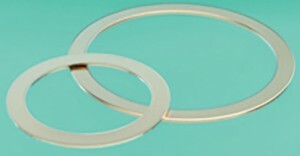 US size and imperial tapped flanges available on request. Laminar flow, million cycle, 3 position, shielded gate, throttle, pendulum, rectangular & aluminium gate valves are also available, please contact sales office for further details and pricing. • 304 stainless steel vacuum brazed body. • Electropolished inside and out. 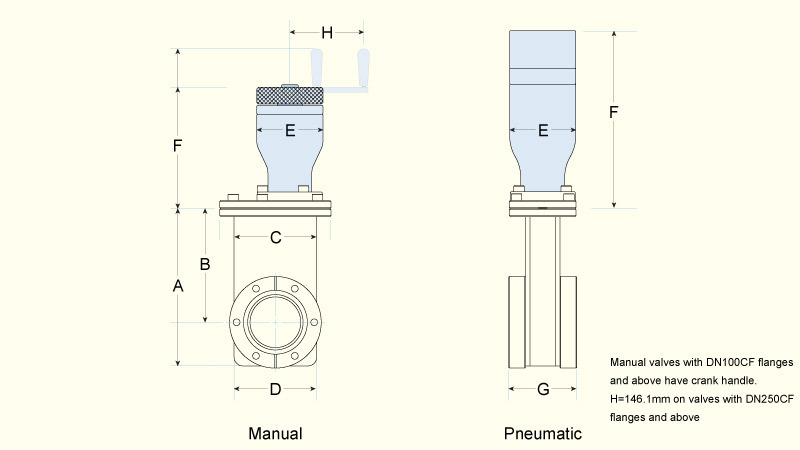 • Manual or electropneumatic operation. • Acme threads on manual actuator. 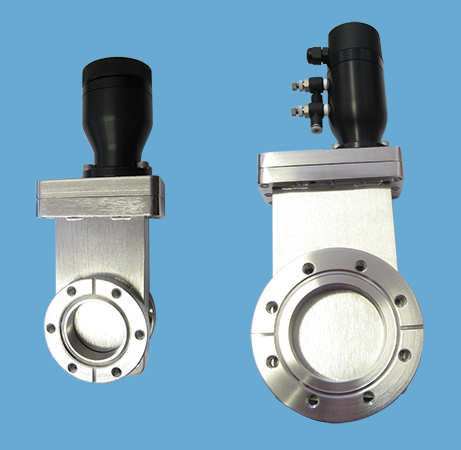 • Magnetic reed switch position indicator on pneumatic valves as standard. • Optional microswitch position indicator. • Minimal vibration during cycling. • 100,000 cycles before service*. • Viton bonnet seal, 1 x 10-9 Torr vacuum rating. • Helium leak rate <2 x 10-9 std.cc/sec. • Roughing ports available to special order. * – Expected cycle life is application dependant. ** – To prevent damage to the gate seal, gate valves must be baked out in the open position.